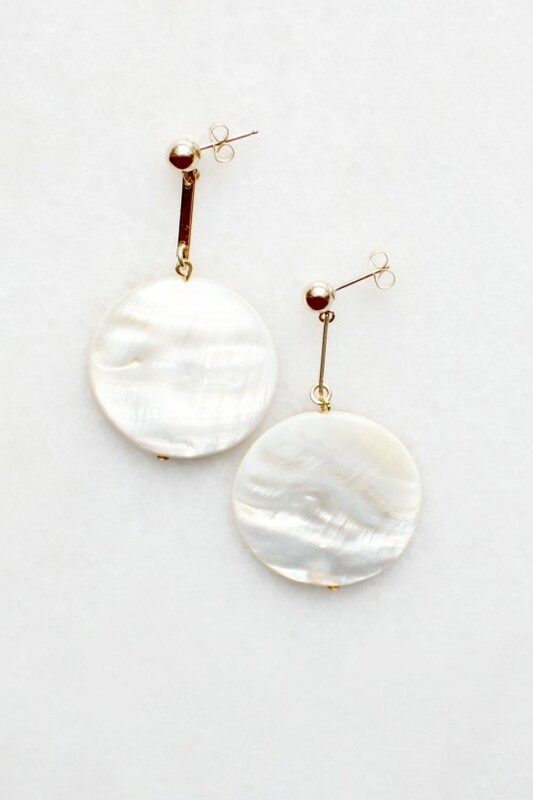 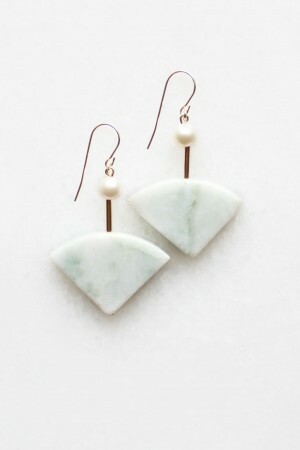 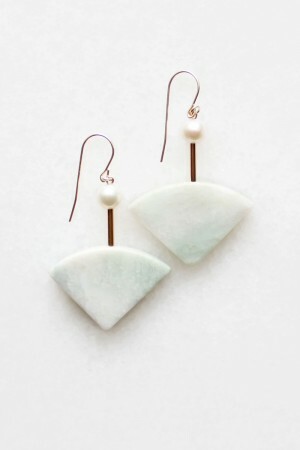 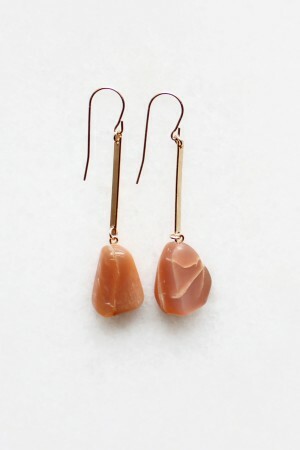 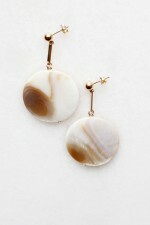 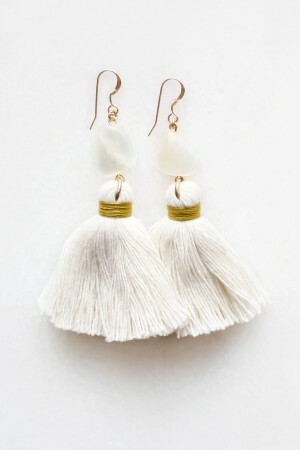 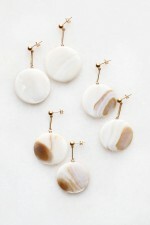 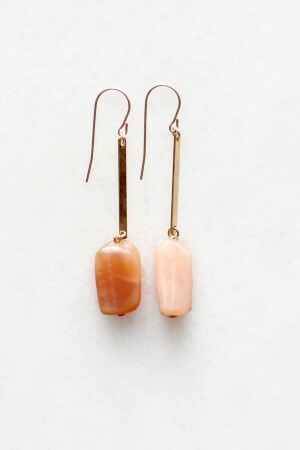 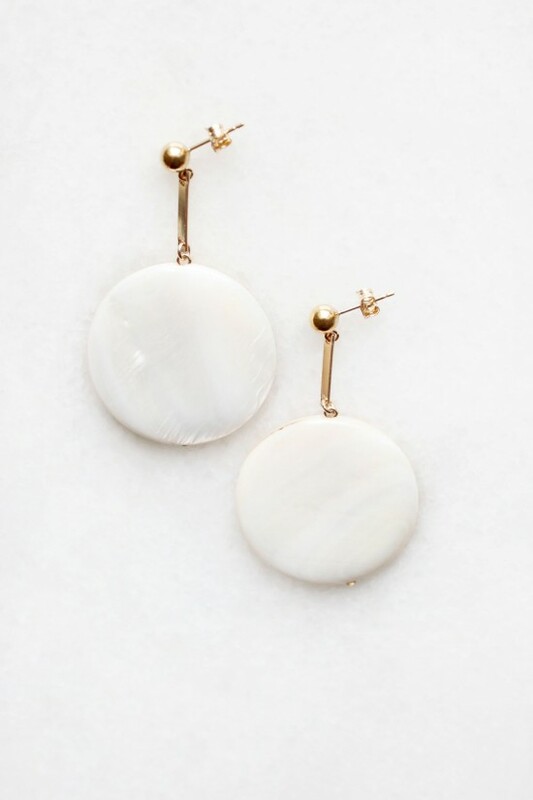 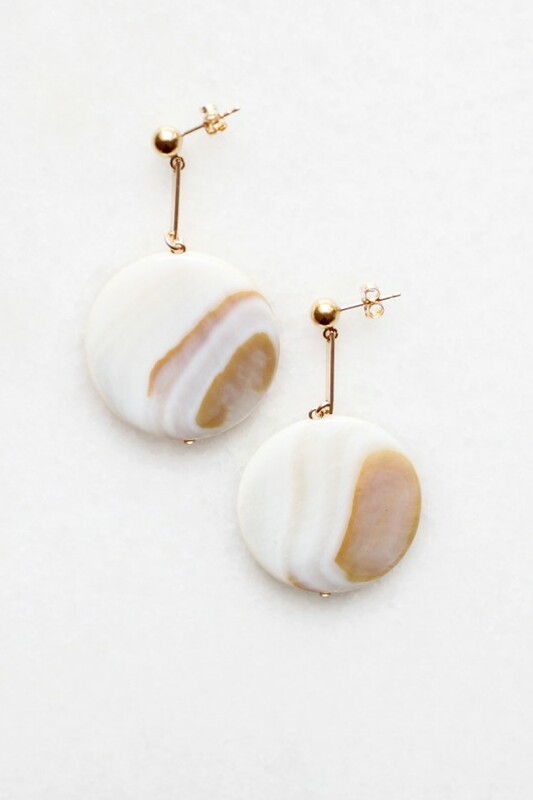 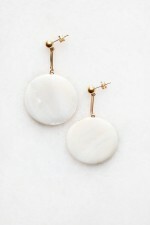 Oversized statement earrings featuring iridescent mother of pearl. 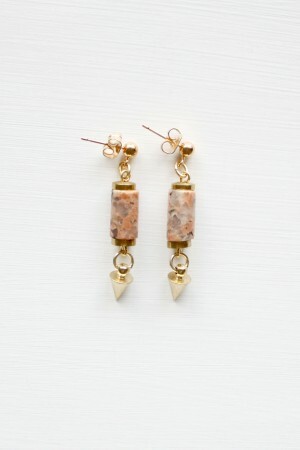 Finished with 14kt gold filled ear studs. Each shell is unique and may vary slightly from those pictured. Total drop length measures 45 mm. Available in a choice of white or white/brown.